The Northfield Downtown Development Corporation (NDDC) along with its economic development partners — the Economic Development Authority, the Northfield Enterprise Center, and the Chamber of Commerce – will seek community input on proposed Action Steps for Infill and Redevelopment at a special open house scheduled for Wednesday, January 14, from 4 to 6 p.m., at the historic Grand Event Center, located at 316 Washington Street, in downtown Northfield. Everyone interested in supporting infill and redevelopment efforts in Northfield is encouraged to attend. 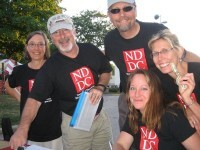 In late 2008, the NDDC initiated a series of work sessions that included members of the Economic Development Authority, the Northfield Planning Commission, the Chamber of Commerce, the Northfield Enterprise Center, and local building owners and developers. Their broad goals included filling empty or enhancing underutilized spaces, retaining growing businesses, supporting redevelopment projects, and attracting new businesses. At the work sessions, the participants evaluated the challenges to and opportunities for the Northfield market, listed the barriers to and assets in potential in-fill and redevelopment projects, and generated proposed action steps for moving forward. For the January 14 session, the organizations seek to raise awareness of the current situation and generate feedback on and support for future actions steps. The goal of the open house is a matrix of action steps, responsible parties, and due dates. The ultimate outcome will be a community working from the same page, toward the same goals.